O sing unto the Lord a new song: sing unto the Lord, all the earth. Sing unto the Lord, bless His name; show forth His salvation from day to day. Declare His glory among the heathen, His wonders among all people. For the Lord is great, and greatly to be praised: He is to be feared above all gods. For all of the gods of the nations are idols: but the Lord made the heavens. Honor and majesty are before Him: strength and beauty are in His sanctuary. Give unto the Lord, O ye kindreds of the people, give unto the Lord glory and strength. Give unto the Lord the glory due unto His name: Bring an offering, and come into His courts. O, worship the Lord in the beauty of holiness: fear before Him, all the earth. Say among the heathen that the Lord reigneth: the world also shall be established that it shall not be moved: He shall judge the people righteously. Let the heavens rejoice, and let the earth be glad; let the sea roar, and the fullness thereof. Let the field be joyful, and all that is therein: then shall all the trees of the wood rejoice before the Lord: for He cometh to judge the earth: He shall judge the world with righteousness, and the people with His truth. Kathy Bahler, the young lady whom God had chosen to be my wife, was born in Zaire to missionary parents, Fred and Millie Bahler. The Bahlers, knowing the Lord’s call upon their lives, had studied at Moody Bible Institute, and in 1945 began their ministry in the Belgian Congo – (Zaire) now known as D. R. Congo. Except for six years, Kathy’s life has been spent in Zaire, where she studied and served with her parents. After our marriage, Kathy and I joined the Bahlers in 1975, and we served for four years in translation, administration, and logistics with Grace Missions, Inc., in Bukavu. In 1979, two active Christians in USAID and the State Department encouraged us to help administer a project of training Africans at the National Institute for Experimental Agronomic/Agricultural Research. 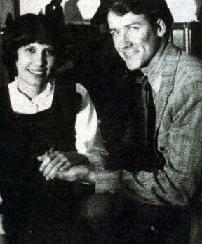 Thus began a tent-making career, which challenged us to an awareness of our growing dependence on the Lord. During those four very productive years, we were able to use our salaries to nurture African translators and Christian workers while continuing most of our missionary tasks and ministries. With these very practical outreaches of ministry, we worked closely with at least a dozen scientists, engineers and government workers at all levels. 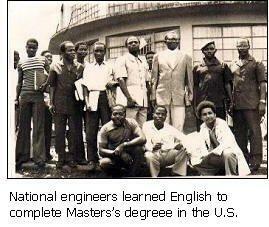 At the same time, another dozen national engineers were prepared in English; after they completed their master’s degrees in the States, their assignments included the national High-protein Legumes Program for Zaire. Agricultural extension broadcasts were a part of the program; however, after only one year of operation, the local radio station was shut down in 1981. Today that one and one half million-dollar building stands idle. Even as Job was tested in his day, God allowed me in 1983 to face the sudden shock of major eye surgery for torn retinas. In spite of the radical changes which this testing brought to our lives, we continued our tent-making ministry; our worker’s compensation allowed us to minister in Bukavu, Zaire, directing the American Cultural Center/Reading Room from 1981 until its closing in 1986. During this time, we helped introduce American concepts of democracy to Governor Mwando N’Simba and other leaders in Kivu Province. After a year as the first test case for decentralization, Kivu Province gave up her governor to the President’s cabinet to become Zaire’s first Minister of State for Administration of the Territory (regions) and Decentralization. The Lord provided me the unique experience of greatly helping Governor Mwando N’Simba at the end of his career as governor. Several years later, when I was in desperate straits and could not even get from our home to town to promote our communications projects with authorities, the Minister of State arrived next door at a moment when I was distracted to step outside our gate. The Minister of State was used of the Lord to hand carry the project proposal to the General Secretary of the Party (the number two person of the government) and to get a favorable written response from this man, the main political advisor to the President of Zaire. It should be noted that our conviction of the need to pursue a broadcast permit had also come at a time of deep dependence on the Lord when I had to be flown by helicopter to a hospital for evaluation of renewed problems with my detached retinas. The president of a European Christian broadcast group was also (in God’s gracious economy) spending the night at the hospital, and he shared his vision of Christian broadcasting with me. While preparing to return to the States for another evaluation and probably eye surgery, I prayerfully presented to the new governor of the region the statutes of Believer’s Express Service, Inc., and the idea of using Bukavu’s abandoned radio station for a Christian outreach for Zaire, North Africa, and Eastern Europe. Because the Lord had already prepared the Governor for this request, he turned to his Administrative Secretary and asked if he could take these statutes to Kinshasa for the signature of an administrator in the Justice Department. A few months earlier, this Governor Kilolo had become a born-again believer while serving in the President’s cabinet as Minister of State for Social Affairs (hospitals, missions, etc.). Similarly, his Administrative Secretary was an earlier convert to faith in the Lord Jesus Christ. They realized the Lord had saved them and sent them to Kivu for His purposes. They were excited about helping prepare and present the dossier for the broadcast station and have continued to help even after leaving their government offices. Opposition elements forced the President to replace the Governor “for having too many prayer meetings,” but Kilolo had a tremendous witness to the presidential family, and at least one member has come to trust Christ Jesus as Savior. When in 1987, we presented our vision for broadcasting to officials of HCJB World Radio, they said it was interesting since they had already been requesting a similar permit in East Africa. Ben Cummings pointed out that Bukavu is perfectly placed to broadcast into many unreached areas such as India and Eastern Europe by short-wave radio signals, because of the north-south direction and distance. Cummings requested that we keep them informed. At the annual NRB convention in Washington, D.C., the President of the National Religious Broadcasters, the executive officers of the TransWorld Radio, and Far Eastern Broadcasters, along with ELWA Radio gave enthusiastic encouragement for us to go back to Zaire and pursue the permit because there were so many unreached areas and unreached language groups in Africa. When our insurance company finally made its settlement for my eye surgery, we again had tent-making funds to pursue the permit. The Lord used the torn retinas to provide the funding or our ministry from 1983 to 1991. HCJB World Radio also gave $1,000 toward a trip to Kinshasa to meet with the Minister of State for Information and Press. That meeting made us very hopeful, for when we met with Minister of State Sakombi Inongo, we were informed that he had received Christ as his Savior only a few weeks earlier. He said that this project would be signed within fifteen days, and should be the first private, non-governmental broadcast permit authorized because it was the first requested in Zaire. However, within days the President reassigned Inongo to become the chairman of the state party and its propaganda. After he resigned, Inongo published a booklet giving his testimony and presenting the Kingdom of God to the Zairian population. Similar events surrounded other Ministers of State for Information and Press who promised to have the project signed within a given number of days. As the process drew on, our personal finances were consumed. Finally, President Mubutu came to Bukavu to begin a national referendum to clarify the will of the people. Prayerfully, I waited in line as the President of Zaire and his wife got out of their vehicle and walked down the highway toward a podium where he would address the population. We shook hands as the passed. I was the only foreigner in this line, but as they passed, I touched the President on the arm and said, “Excuse me, Mr. President, but we have two telecommunications projects that are being delayed in Kinshasa.” President Mubutu turned and called the director of his office and introduced him to me saying, “Take care of this gentleman’s questions.” I walked with him behind the President and set up a rendezvous to discuss projects. The director of the President’s office and other staff met with me in a series of meetings in which the broadcast project was discussed point by point. Only a few days earlier I had learned that the law required all broadcasting in Zaire to be done by Zairian agencies, meaning organizations having a majority Zairian board of directors and having recognition by presidential decree and not just statutes signed by the Minister of Justice. As an American mission with a branch in Zaire, I realized that we had worked for years in vain by not asking for complete recognition by the government. I shared this concern with the President’s staff. The staff asked for a complete set of the revised statutes and reconstituted board of directors, stating that the answer would be forthcoming. Soon there was a meeting in Bukavu at which the President and the population would have a dialogue. I went to the meeting, but, in front of my friends and other foreigners, I was chased out by the chief of protocol. I went home somewhat embarrassed after I saw the officials go in. But within a very short time the Presidential delegation drove by and parked near our home where President Mubutu owned a small private chateau in a nice wooded park. I drew Kathy out front quickly to see the procession. As we stood across the street with an Italian couple, we realized that Kathy was still wearing her apron and sneakers. Meanwhile, President Mubutu and his ambassadors and authorities strolled out of his park gate, cautiously at first, coming across the street to engage in conversation for about twenty to thirty minutes. The President greeted us by name, commented about our being neighbors, and asked if his staff had adequately handled questions concerning the projects. After some general discussion about the neighborhood, I thanked President Mubutu for the visit of his staff and affirmed that their visit had been quite helpful. Upon completing his tour of each of the regions, President Mubutu announced on the historic April 24, 1990, that he was stepping down as President of the MPR party, ending the governmental monopolies, and turning the government over to a Prime Minister who would work with the different branches of the government to change the constitution and to provide for multi-party elections. It is interesting that Believer’s Express Service, Inc., was made a Zairian association by Presidential Decree just two days after that historic anniversary, April 26, 1991 (Presidential Ordinance number 91-1234). However, the broadcast permit for Cherith and BEST Radio (Bukavu Extension Service Technical Radio) would require a technical paper, and we could find no technician to come from the States to help write the technical paper leading to the Ministers of State authorizing the first free non-governmental Christian radio broadcast license for Zaire. This put us under extreme pressure! The National Director for Rural Radio offered his consultant services, but at considerable cost. I was told that this director had made many problems in a visit to the region the year before. Could he really be trusted to do honest work. After much prayer, we sent a message through the U.S. Ambassador engaging the director’s services. Earnest prayer was answered in a surprising manner. In only a few days the director was replaced. Arriving at Bukavu was the newly appointed National Director, no longer someone making trouble for and between the different broadcasters, but a truly born-again Christian who not only helped write an acceptable technical paper, but he also resolved the arguments that had secretly been filed with the Minister of State to block Cherith and BEST Radio in favor of a different religious group. For a long period of time, in 1990 and 1991, we had to deal with the fact that our personal funds were running out and that not enough money was pledged by Christians in the States to meet the monthly BES budget or our personal living costs. At one point, we were forced to spend our last $3,000 that we had reserved strictly for our return passage to the States. Later, a general appeal led Kathy’s father, Fred Bahler, now a widower and a retired missionary, to loan us $15,000 that he had inherited so that we could continue our ministries in Bukavu. Kathy encouraged me not to give up. Pressures kept the question of returning to the States for deputation work constantly before us. We could not understand what was delaying the final signature of the broadcast permit! Then one of our former employees told us that US Congressman Solarz, of the Foreign Relations Committee, was coming to Bukavu. It was supposed to be a secret visit to meet each of the presidential candidates, including President Mubutu, to determine if each of them had access to the “media” – so the population could find out who the candidates were. We waited for the Congressman and the American Ambassador at their hotel. When we met with them, we asked only that they assure us that they would not block our effort to receive the permit for non-governmental Christian broadcasting. Both men spoke in our defense and, in fact, agreed to speak a word in its favor. Some days later, the American Press Attache of the American Cultural Center in Kinshasa told me that he personally had met several times with the members of the President’s cabinet to put pressure for the signing of the broadcast permit. Congressman Solarz kept “faxing” him, asking what he was doing. We praise the Lord for this Congressman from New York. On the 4th of July 1991, the U.S. Cultural Attache presented President Mubutu a golden fishing eagle on national television in the presence of the American Ambassador who was completing his tour of duty in Zaire. The permit for Cherith and BEST Radio was signed on July 4, 1991, by both the Minister of State for Information and Press, and the Minister of State for Agriculture. Their letters agree to the technical papers proposing several of each: FM, medium wave, and short-wave broadcasting transmitters for Christian programming, as well as for agricultural and other rural-development broadcasting, including health, hygiene, and nutrition. They classify it as a Program of Priority Public Investments, allowing customs exemptions for importations of equipment, etc. If we had gone to the States for deputation, much of this would not have developed as it has. The timing was of the Lord! Soon the pressures to come to the States were on again. Why not? We had the permits! But we were led of the Lord to continue in Zaire as the political situation became serious. The government had great difficulty conducting a national constitutional conference with 3,000 delegates in a purely democratic attempt at reaching a national consensus. It was total confusion, and the economy suffered. Finally, in September 1991, the population of the capital, 1,300 miles from Bukavu, took to the streets in food riots, protesting with the army the lack of pay and of extremely inflated prices. Months earlier the United States and other governments had cut off food aid as the last pressure for reforms. This alone would have led to the withdrawal of the Peace Corps from Zaire. When the Peace Corps organized to leave Bukavu, many of the missionaries decided to evacuate, only later to find that Bukavu was the safest place in Central Africa. All of them soon returned. As we prayerfully evaluated the situation from day to day, we saw that it was important to promote the stability of the region by staying. The Lord used circumstances to slow our preparations twice when we would have evacuated because of rumors. As it was, the population of our region had formerly experienced turmoil in the ‘60’s during the Mercenary Rebellion, and they did not want to have rebellion repeated. The Governor and also the head of the army of our region who were both Christians took the guns away from the soldiers and arrested a few deserters. They also had prayer with the soldiers and influenced the government and the Chamber of Commerce to work together through this time of financial instability. Because we had stayed instead of evacuating, we, along with many other foreigners, were invited to the Governor’s mansion where he honored us as the “Pioneers,” announcing that we all would be classified as Zairians, and we would receive special help with projects, visas, etc. Possibly you are another Christian whom the Lord has been preparing to become involved in this endeavor to reach the unreached with the Gospel of Jesus Christ. May God bless you as you make a decision to partner with Radio Kahuzi. Kathy and Richard as they say farewell to the team at HCJB Engineering Center, Elkhart, IN. first partnership to plant radio stations around the world.